What is a plant-based diet and how does it impact diabetes? First, before reading on, take a moment to think about the term "plant-based diet". What comes to mind? OK, so did you think about a vegan diet, vegetarian diet or perhaps a plate of food filled mainly with vegetables, fruits, grains and just a small amount of chicken or fish? Well, actually, they all fit. There are many variations of a plant-based diet, and there is no single definition of it. In 2015, the U.S. Dietary Guidelines Advisory Committee (1) determined that "a healthy dietary pattern is higher in vegetables, fruits, whole grains, low-fat or non-fat dairy, seafood, legumes, and nuts; moderate in alcohol (among adults); lower in red and processed meat, and low in sugar-sweetened foods and drinks, and refined grains." The Committee also stated that "these dietary patterns can be achieved in many ways and should be tailored to the individual's biological and medical needs as well as socio-cultural preferences." In my mind, this could be a plant-based diet because it emphasizes the plant-based foods (above in bold). Lacto-ovo vegetarian: Plant-based foods, dairy and eggs only. Pescatarian: Plant-based foods and fish only. Semi-vegetarian or Flexitarian: Plant-based foods and occasional fish, poultry or meat. Diet choices are thought to be a key player in insulin resistance (when insulin does not effectively carry sugar out of the blood). Here is a small sample of research in favor of a plant-based diet for diabetes prevention and management. The Adventist Health Study 2, an excellent study examining eating patterns in 61,000 people, found that the prevalence of type 2 diabetes (T2DM), even after correcting for weight and weight changes, decreased in a stepwise manner with each reduction in animal product intake. Meat eaters had more than twice the prevalence of T2DM compared with lacto-ovo vegetarians. 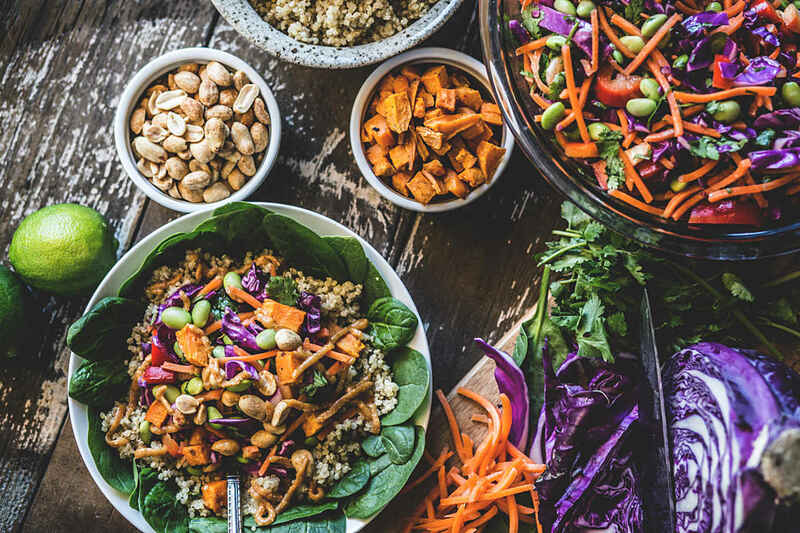 The study also found that the odds of developing T2DM were reduced by 77% for vegans and 54% for lacto-ovo vegetarians compared to non-vegetarians (3). The Nurses' Health Studies, the largest studies to date on plant-based diets, evaluated food choices and T2DM incidence. They found that those most adherent to a healthy plant-based diet had a 34% lower risk of developing diabetes compared with those least adherent. These findings were independent of other diabetes risk factors. The studies also found that simply substituting 5% of intake from animal to vegetable protein was associated with a 23% reduction in T2DM (4). Barnard et al, over 74 weeks, compared a vegan diet to a conventional diabetic diet for individuals with T2DM. The vegan group had better diabetes control and reductions in total and LDL (bad) cholesterol. They reported there was no difference in acceptability and adherence to the diets (5). Many other studies have shown the benefits of a plant-based diet for prevention and treatment of diabetes-related complications, including heart disease, stroke, high blood pressure, chronic inflammation, kidney disease and diabetic nerve damage. For more details, read McMacken and Shah's excellent review of these studies (6). How can you use this information on plant-based eating to help prevent or treat type 2 diabetes? Honor your unique eating style and preferences when deciding what type of plant-based diet works for you. If you are eating a plant-based diet, you are on the right track! If you currently eat a meat-based diet, consider having meatless Mondays or aim for the plate method to limit meat to 1/4 of the plate, allowing more room for plant-based foods. No matter what style of plant-based diet you choose, it is wise to focus on whole, less-processed foods. Aim for a well-planned, nutrient-rich plant-based diet. If you have T2DM, experiment to see if vegetarian meals result in lower post-meal glucose levels. If you plan to follow a vegan diet, it is extremely important to incorporate key foods, like dried beans, nuts, seeds, whole grains, dark leafy greens and calcium and vitamin D fortified foods. This is important to obtain adequate protein, omega-3 fatty acids, vitamin B12, calcium, vitamin D, iron, zinc and iodine. You may also need to add a few supplements to meet your nutritional needs on a vegan diet. Tonstad S, Stewart K, Oda K, Batech M, Herring RP, Fraser GE. Vegetarian diets and incidence of diabetes in the Adventist Health Study-2. Nutrition, metabolism, and cardiovascular diseases: NMCD. 2013;23(4):292-299. doi:10.1016/j.numecd.2011.07.004. Barnard ND, Cohen J, Jenkins DJ, et al. A low-fat vegan diet and a conventional diabetes diet in the treatment of type 2 diabetes: a randomized, controlled, 74-wk clinical trial. The American Journal of Clinical Nutrition. 2009;89(5):1588S-1596S. doi:10.3945/ajcn.2009.26736H. McMacken M, Shah S. A plant-based diet for the prevention and treatment of type 2 diabetes. Journal of Geriatric Cardiology: JGC. 2017;14(5):342-354. doi:10.11909/j.issn.1671-5411.2017.05.009.